Sahel means edge. That edge – of the Sahara desert – was once a rich intersection of trade and cultural exchange, supported by flourishing ecosystems. Stretching from Senegal to Sudan, the Sahel is home to the oldest centres of learning and the oldest markets south of the Sahara. Today, the Sahel has become the edge of despair. Ways of life have ended; hopes have died. Communities whose cultures and livelihoods revolved around tending livestock have packed up their nomadic ways of life for the last time. Many are now in slums. Within living memory, vast tracts of the Sahel teemed with wildlife. Most of it has gone. The Scimator Oryx, symbol of the Sahara Conservation Fund, went extinct in the wild at the turn of the 21st century. A myriad acronyms and initiatives crackle out of the local press – AQIM (Al Qaeda in the Maghreb), MUJAO (Mouvement pour l'Unicité du Jihad en Afrique de l'Ouest), JNIM (Jama'at Nusrat ul-Islam wal-Muslimin, MINUSMA (United Nations Multidimensional Integrated Stabilization Mission in Mali)…. Non state armed actors, ungovernable spaces, land degradation, drought and hunger have become almost defining characteristics of swathes of Nigeria, Mali, Niger, Burkina Faso, Chad and Sudan. Migration is seen as one solution. According to the International Organisation of Migration, more than 270,000 people passed through Agadez, Niger, in 2016 on their way to Libya with the hope of crossing the Mediterranean. A UN Security Council Presidential Statement on January 30th 2018 'expresses its serious concern over the challenging security situation in the Sahel, notably threats posed by asymmetric terrorist attacks… including the way terrorists use their narratives to polarize communities… and transnational organized crime, including trafficking in persons, arms, drugs and natural resources'. 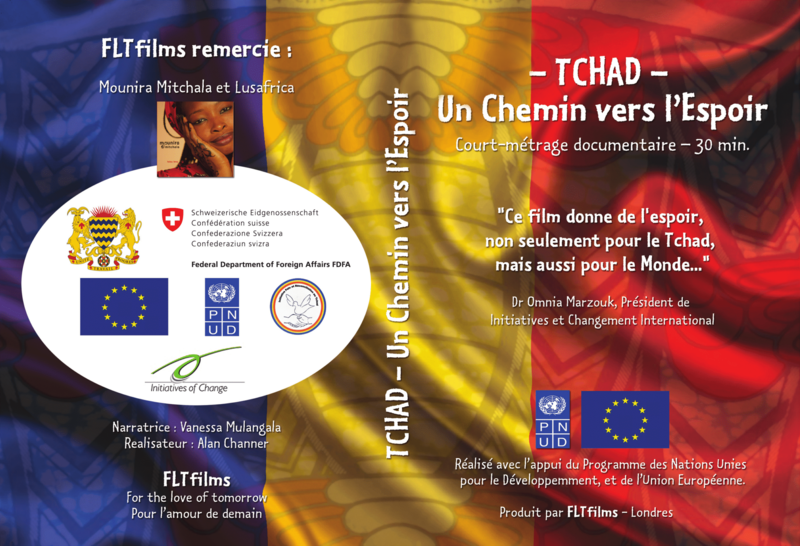 It is in this context that the launch of the film 'Chad – a journey to hope' in N'Djaména on 19th March, co-hosted by Chad's National Network for Peace & Reconcilation (CSAPR)* and the Chadian Association of Initiatives of Change, is important. The film, made with support from UNDP and the EU, depicts a bid to forge a national network of Chadian mediators – a network that transcends the ethnic, religious and political divisions that have dogged the country since its inception. Former enemies and renowned peacemakers from Nigeria, Imam Muhammad Ashafa and Pastor James Wuye, were invited to Chad by the UN and CSAPR to lead the process. The film follows the mediators to a remote area of southern Chad, where they grapple with ethno-religious conflict between pastoralists and farmers, aggravated in recent years by land degradation and access to automatic weapons. The award-winning Chadian singer Mounira Mitchala (Francophone African Artist of the Year, 2014) contributed the music soundtrack without charge.